Celibacy( Brahmacharya) is the gateway to the highest truth. One experiences infinite joy through chastity. In a conventional thought, celibacy is abstinence but in a deeper sense, it is complete restraint of all the senses. Without celibacy or abstinence, no spiritual progress is achievable. To attain celibacy, one needs to develop the mental attitude towards the opposite gender. One needs to develop the solid routine of waking up at 3-4 AM and utilizing the time for Yoga, meditation (thoughtless awareness) and other activities like self-study. To attain celibacy wake up between during the prime time (Brahma Muhurta) 3 AM or latest by 4 am. Because the entire (atmosphere is free from thought vibrations and, therefore, peaceful. It is easier to attain a pleasant state of thoughtless awareness (meditation) so that one can practice the same for longer periods. 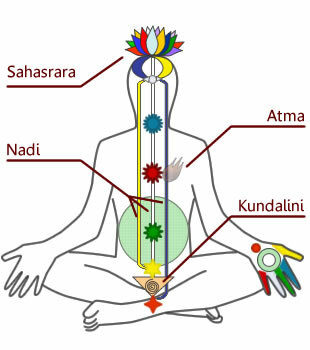 The primal energy at the base of the spine (kundalini) is activated, and the kundalini ascends the spine quickly during these hours. Celibacy is the movement from passion to peace and then from peace to bliss. Practice celibacy at the mental level also by using these means. Affirmation mentally that one will remain celibate throughout the life. Do rigorous exercises like yogic jogging, Pull ups, and sit ups, the sun salutation, muscle building exercises, etc. will help. The surplus power of lust will get spent usefully in the physical work then help you to be a celibate. Relax in your fondest hobbies like music, swimming, dancing, aeromodelling, writing poetry, blogs, etc. It is strongly advised to avoid all visual stimulation for the lust to manifest. Spend time on celibate quotes in the morning. Have only simple food ( mildly spicy food ) as the food has a direct relation with the mind.